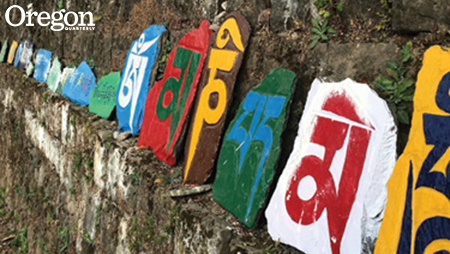 When Amanda Di Grazia went to Nepal for a study-abroad program in fall 2017, she found herself avoiding the immersive cultural experience that typically accompanies the academic component of a semester on international soil. There was a universal reluctance among the students in her program to participate in local activities because her classmates were concerned that their participation might offend community members. But Di Grazia wondered if this logic was sound. Di Grazia turned her question into a research project, remaining in South Asia to investigate the matter after her program concluded. Although not required to do so by any class or professor, she designed and executed a study and wrote a paper outlining her findings, simply driven by her desire to learn more about another culture. Di Grazia examined how Tibetans feel about the commodification of religious items and souvenirs affiliated with their culture. She chose this subject because McLeod Ganj, India, her residence after leaving Nepal, is home to Tibetan refugees and the city is a bustling tourism hub, brimming with visitors exchanging cash for Tibetan tokens and keepsakes. Metallic trinkets and colorful handicrafts flood storefront windows. Shops overflow with brass statues of Buddha and Hindu deities, piles of bright, beaded jewelry, crocheted hats, long rows of prayer wheels, and Tibetan knives. 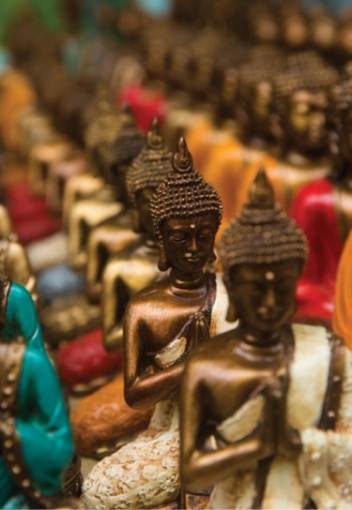 Many of these objects might look familiar to Americans, Di Grazia says, as many people in the United States decorate their homes with Tibetan pieces, adorning their porches with rainbows of prayer flags and planting statues of Buddha in their gardens. The philosophy and sociology double major asked Tibetans if they found these gestures offensive, or objected to people profiting from their culture through souvenirs and trinkets. In her interviews, she used skills acquired in ethnography—the scientific description of the customs of peoples and cultures. Di Grazia found that most of her subjects weren’t offended by the proliferation of souvenirs and religious items. Instead, they saw these objects as an opportunity for people to educate themselves about the Tibetan culture and cause. The deeper she got into the interviews, the more Di Grazia shifted her own behavior as a visitor to a foreign country. She started embracing cultural activities as an integral aspect of visiting a new place and living amongst its people. She attended dance performances, accepted invitations to family dinners, and went to the local monasteries.